Seeing in the New Year is always an exciting evening, and doing so in a different city, or country is even better! Whether you want to hold on to 2017 for as long as possible or embrace the new year as soon as you can, we've picked out 8 of the best places to enjoy your 31st December celebrations. 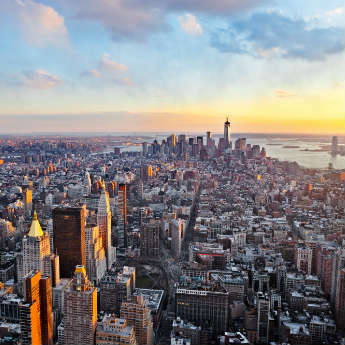 New York is probably the famous city when it comes to New Year’s Eve partying, and one that you should definitely look to tick off your list. 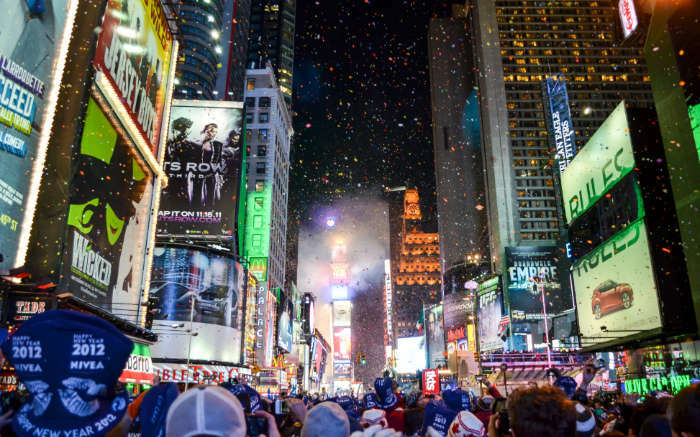 With the streets of Times Square packed out and the famous 12 foot wide crystal ball that drops, it’s a place that’s full of excitement for the new year ahead. However if the streets and crowds aren’t really for you, a lot of the bars lining the way allow reservations, so you can see the celebrations from the warmth and cosiness indoors. 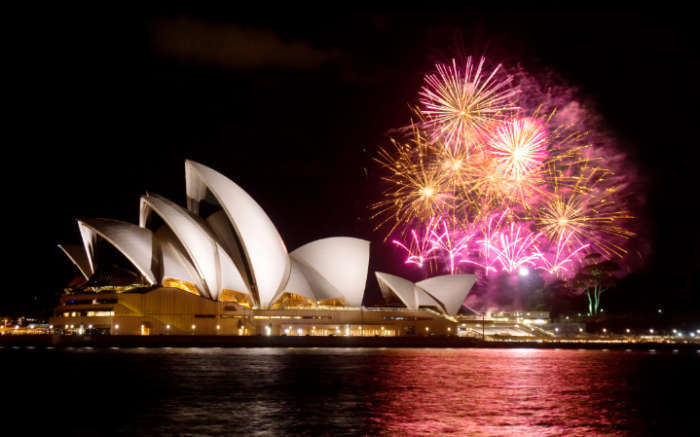 Another famous location for New Year’s Eve is Australia, specifically Sydney, as it’s the first major city to see in 1st January. Oh, and how could we forget the epic firework display, with the Harbour Bridge and Opera House lighting up in spectacular style! Typically, more than 1 million people attend and the celebrations are amongst the largest, if not the largest, in the world. If any city is going to go all out for the new year, it has to be Vegas, right? 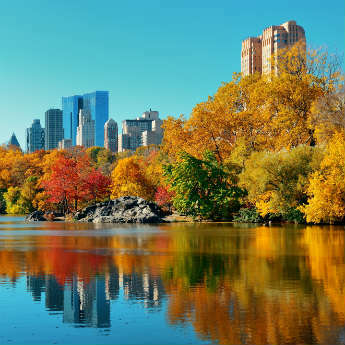 The city of all things bright, bold and over the top doesn’t disappoint. 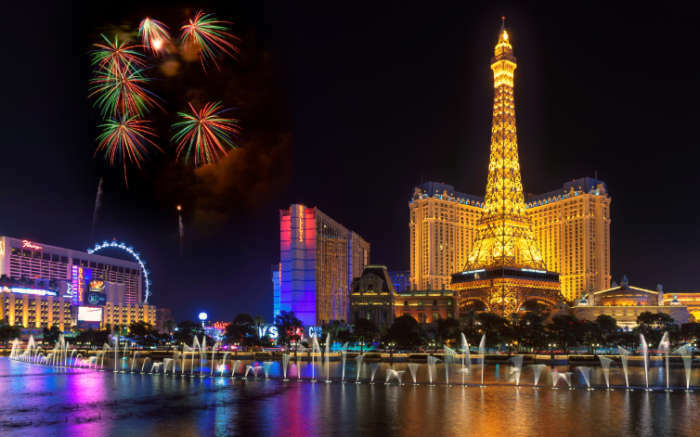 The Vegas Strip is cleared of cars for the evening so that a giant street party can take over - from laser shows to live bands and pyrotechnics, it’s definitely one not to miss. If a quick and easy getaway is what you're after, perhaps Scotland should be on your radar this year! New Year’s Eve itself is focused on street parties and open-air Kelidths, which are traditional Celtic parties. 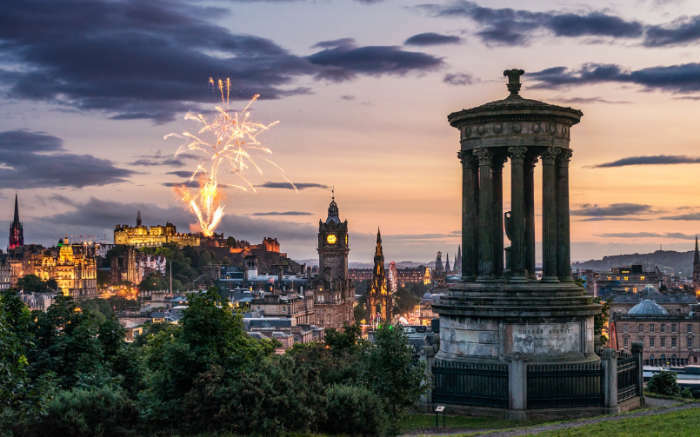 At midnight, Edinburgh Castle is lit up by the fireworks whilst Auld Lang Syne can be heard from the revellers. It’s not just fireworks that you can see in Reykjavik onNew Year’s Eve, you can also gaze upon the stunning Northern Lights if you take a trip out. The night starts off with parties across the city, accompanied by bonfire which is a local tradition to signify burning the previous year. Things then end the following morning with many people welcoming the new year in the Hot Springs at 6am. 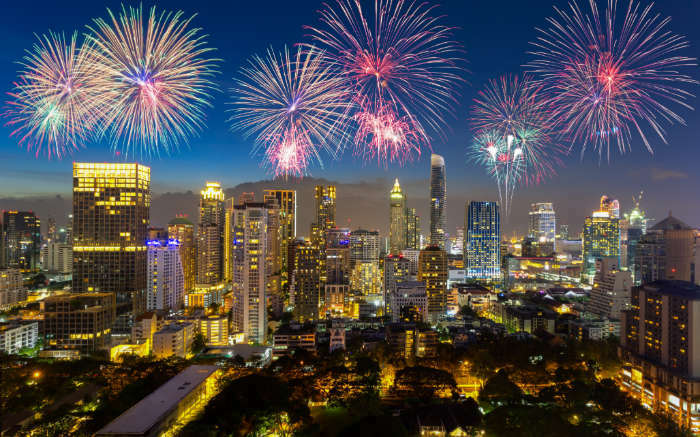 Hong Kong go all out for New Year’s Eve, an evening that includes amazing firework displays and a replica Times Square ball drop before finishing with a pyrotechnic Dragon dancing across the skyline. 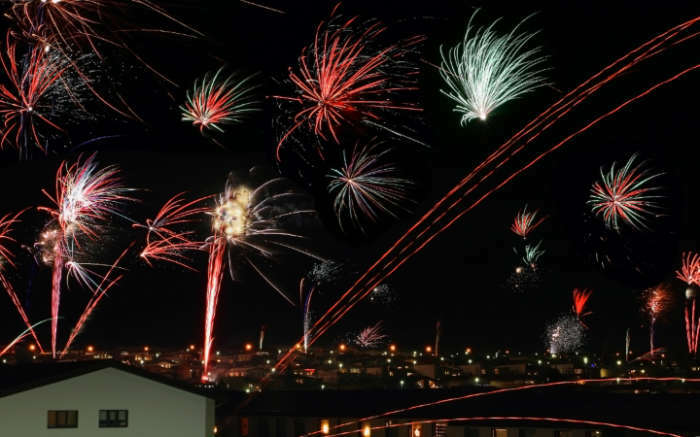 The place to be for the best views and fireworks is Victoria Bridge, so make sure to get there early for the best spot. 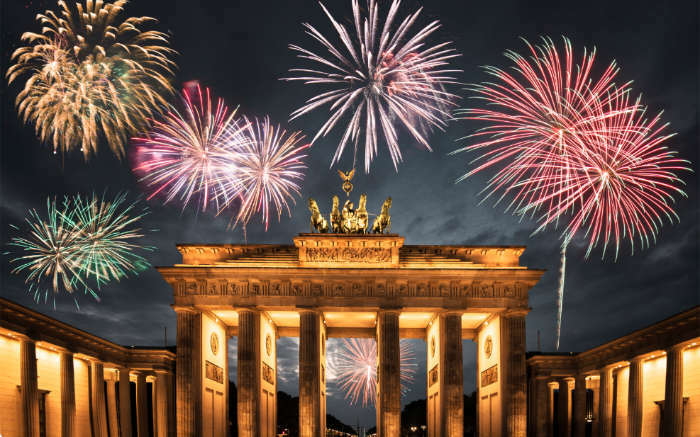 In Germany, New Year’s Eve is known as Silvester, and celebrated it to its fullest, with the streets lined by more than 1 million people. The popular Party Mile is a 2km strip full of stalls, bars, videos, laser shows and anything else you could want to keep you entertained until the clock strikes midnight. Things don't stop then though, as after the firework displays, revellers head to the clubs of Berlin to party until the early hours. If you spend New Year’s Eve in Bratislava you’ll want to head to the Old Town to take in the medieval sights, along with open air dance parties and firework shows over the river Danube. 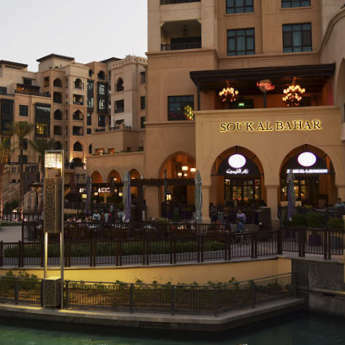 The city transforms itself with concerts, large screen broadcasts and party zones – so there’s no shortage of things to do during the evening. Where would you most like to visit for New Year’s Eve?